Spring is here...but the weather in the UK here is definitely is not showing it! I've been really really really LOVING dark red lipsticks and grunge 90's makeup, now .... it's not autumn! However i've been into darker colour shades and hopefully you'll get to see them! Now, this is my absolute favorite at the moment, Candy K is a really lovely colour however the price with sipping is £30. Pricey!! the DUPE for it is the Rimmel London Kate moss in the colour 45, and they don't really have a difference but 45 is a lipstick and kandy k is a liquid lipstick, they still do the job which should be fine! The biggest difference is that you save over £25! 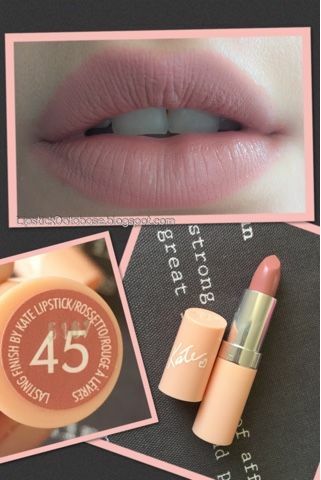 The kate moss lipstick you can get from superdrug, boots, (I got mine from Lloyds Pharmacy)- where i live they have a makeup stamd. practically anywhere with a makeup stand. And you can go back to the store to check when you can only order online for the Lip kit. Nars being the 'high end' brand is quite expensive, however you can save A TON of money when you can just go into boots and pick up a lipstick for under £6. 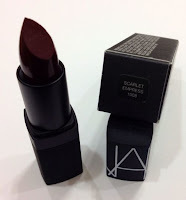 comparring to the £20 lipstick you would have to spend on from Nars. The formula for lipsticks can be quite similar but if you want to get the perfect creamy texture i'd reccomend nyx lipstick's as they are only £4 and really good forumla. We've never had nyx here in the UK so they only just come into the drugstore's (Ulta if you live in the USA) and it is always worth giving something a chance.